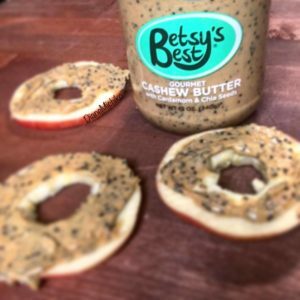 I am so in love with Bestys Best gourmet cashew butter! It’s so incredibly creamy, and not in dry chucks like other butters I’ve had. The cardamom and chia seeds add the perfect hint of spice and texture! Disclaimer: I was asked to try these butters and put out a post about them. I get $0 if you click the link or purchase product. They sent me products to try, and I am so glad that they did because they are DELICIOUS!! !